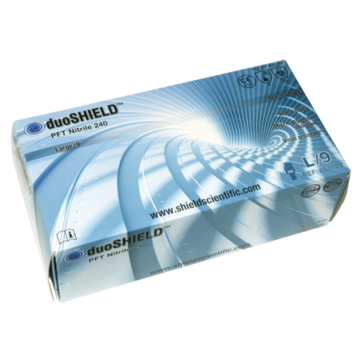 / NEW: duoSHIELD™ PFT Nitrile 240 ultra-thin dual registered glove! 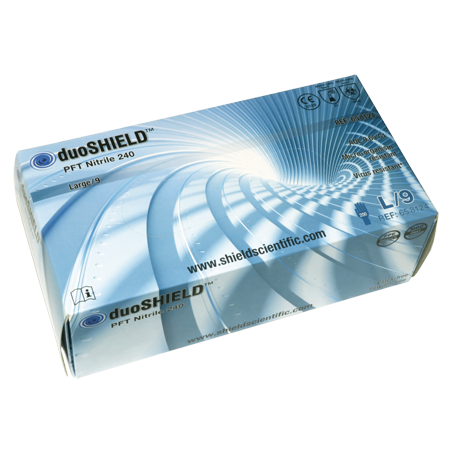 With the new duoSHIELD™ PFT Nitrile 240, SHIELD Scientific enters the ultra-thin glove market. 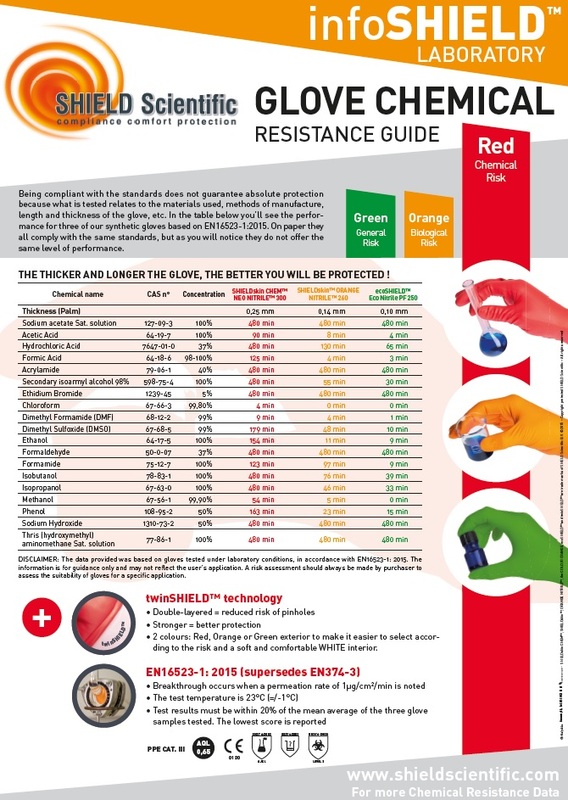 This powder-free nitrile glove meets the requirements of the latest chemical and biological European standards (ISO 374-1:2016 and ISO 374-5:2016). This new disposable glove is dual registered to offer a solution for the medical and the laboratory workers. In developing this laboratory glove, particular attention was given by the SHIELD Scientific glove development team to meeting users’ expectations for comfort, space saving and cost optimization.